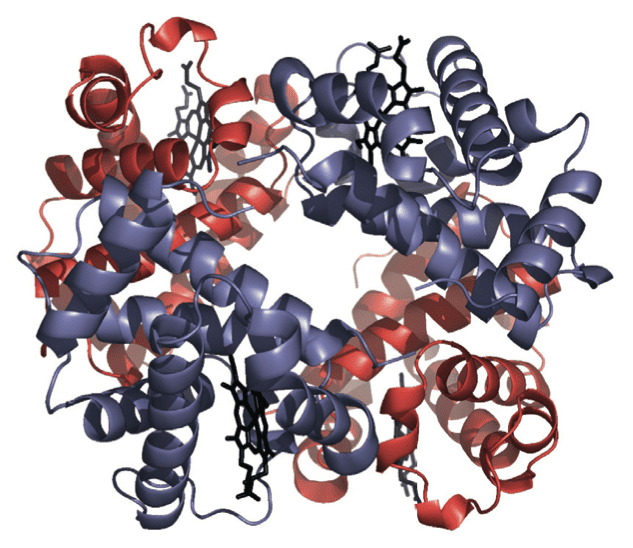 Haemoglobin is an α2β2 tetramer. Its α and β subunits are very similar to myoglobin. Haem groups are shown in black.